This month, Chef Leo brings us a beautifully illustrated recipe for an Italian condiment ideal for the holidays. 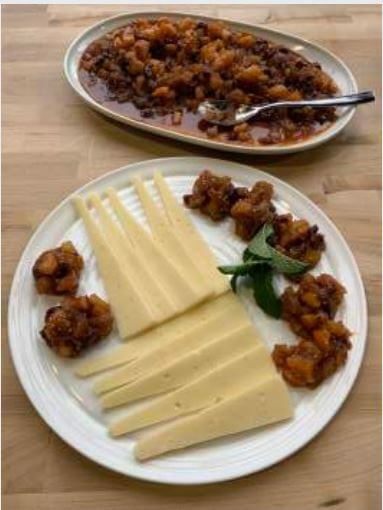 Mostarda di Frutta con Forno a Legna is a rich, cooked fruit relish with deep mustard notes and a bit of a kick that can be made in your wood fired oven. It can be used to accent meats, cold cuts, or cheese on either an appetizer or main course. Use this condiment to bring a bit of the unexpected to your buffet this year. 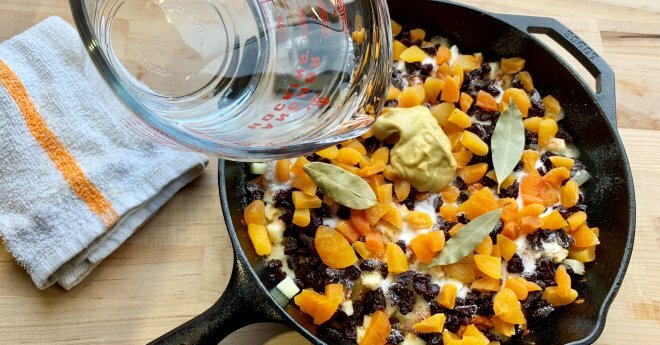 Click on the link or photo below to read more about the history and uses for this dish and to find Chef Leo’s step by step instructions for preparing it. Buon appetito! Chef Leo Spizzirri is the Maestro Istruttore and co-founder of the North American Pizza and Culinary Academy in Lisle, IL, outside of Chicago. Their school specializes in courses on artisan pizza making, but they also teach classes on many other kinds of cuisines and cooking styles. You can check out their full schedule of classes and events on their website. Chef Leo is a big supporter of Forno Bravo ovens. He boasts several of them in his school for training students on wood fired cooking, plus having a custom-tiled Napoli at his home.